The 2016 Quadrennial Physics Congress hosted by Sigma Pi Sigma will take place next 3–5 November in Silicon Valley. This will be our next national meeting and, at the same time, our gift to the undergraduate community. Drawing on our deep passion for providing opportunities to undergraduates within our discipline, one of Sigma Pi Sigma’s major contributions is hosting this meeting, which includes the largest gathering of undergraduate physics students in the world. The meeting brings together physics students, alumni, and faculty members for three days of frontier physics, interactive professional development workshops, and networking. You are most cordially invited to attend. There are several reasons why I think you should be there with us. First. As alums of physics (in general) and your university department (in particular), you provide wisdom and experience that could greatly benefit those in attendance, especially students. There will be plenty of chances to meet and share your experiences with this next generation. Interactive workshops will be held on a variety of societal topics related to physics (careers and diversity, to name two examples). Enter into conversations with physics students. Like you, they care passionately about our field. Third. Please join us on an engaging tour of Google, NASA’s Ames Research Center, or the SLAC National Accelerator Laboratory. You won’t regret it! Fourth. 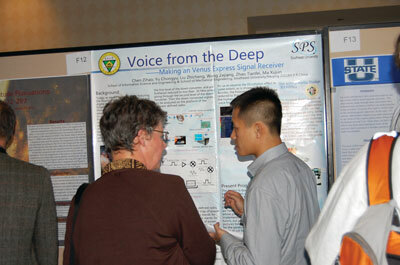 Engage with hundreds of student poster presenters and see numerous pieces of physics-inspired art. The diversity of topics will be impressive. Even more impressive will be the audible buzz of the poster sessions. 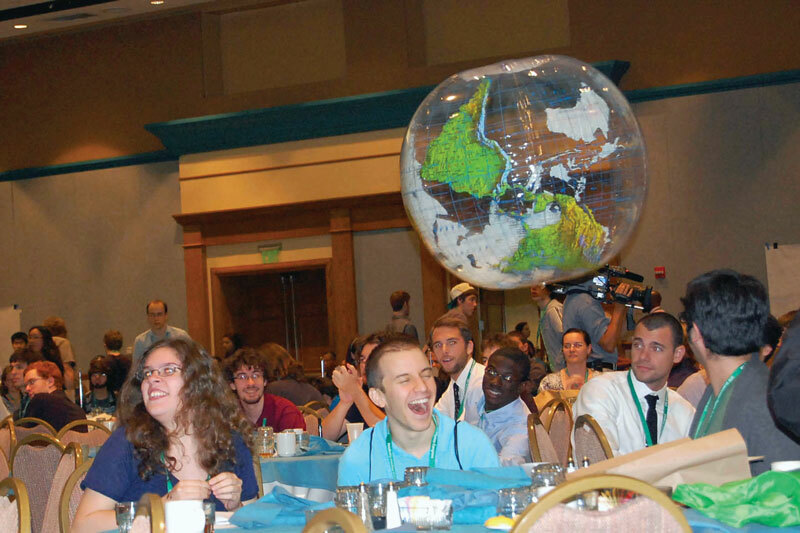 The Physics Congresses are the most vibrant of any meeting I attend—and I attend many with my students. The Physics Congress is a unique opportunity for you to give back to physics and the next generation. Please consider being part of this fantastic meeting. In addition to attending, you might consider sponsoring some aspect of the meeting or donating to our student travel fund. For details, please go to the Congress website, http://www.sigmapisigma.org/sigmapisigma/congress/2016. On a more local level, consider contacting your home or local chapter and offering to help support their Congress attendance. Your contribution can change lives. This will be my sixth Congress, and likely the best one to date. The conference has been expanding dramatically. Come immerse yourself in the energy of our students. I am confident you will be pleased at the vitality of the physics undergraduate community. It will invigorate you.